When grocery shopping I opt for natural, locally grown, organic food whenever possible. I always think it’s worth the extra money, but it does add up. 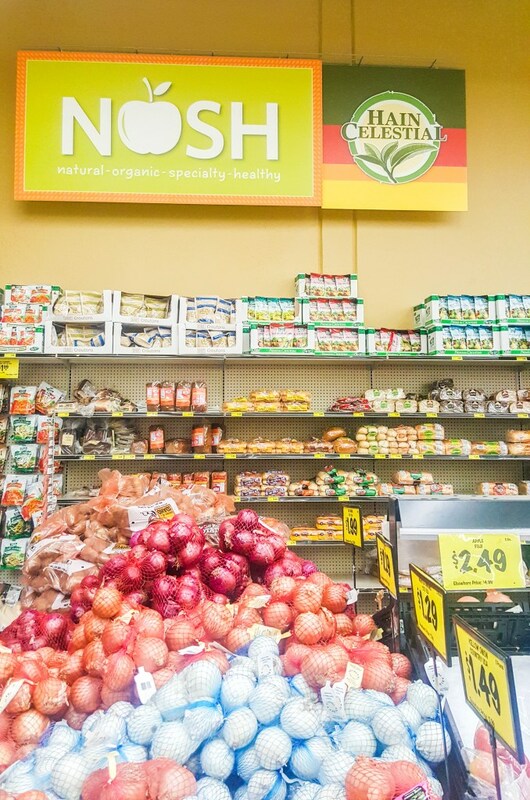 When I heard that Grocery Outlet has a program called NOSH – Natural, Organic, Specialty, Health, that was developed by Dr. Kai Herman, a Naturopathic Doctor, in Portland, Oregon, I couldn’t wait to partner with them to check it out! Who can pass up natural, organic groceries at those prices? Heading into Grocery Outlet, it is super easy to find their NOSH products all over the store. They have big colorful signs pointing the way! I was surprised at the extensive wine options & I couldn’t get over the prices! One of my absolute favorite wineries in Sonoma, even had their bottles at Grocery Outlet…on sale!!! Check out these perfectly sized Cline bottles! 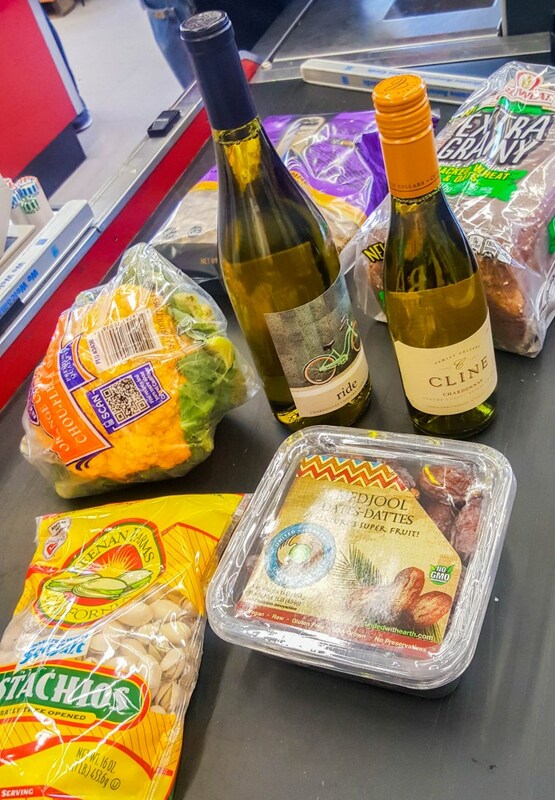 Check out this great haul from Grocery Outlet! How fun is that bright orange cauliflower!?! Maybe I’m just a child at heart, but food is so much more fun to eat when it’s brightly colored! I snagged a nice bag of California pistachios lightly salted with sea salt. They’re shelled & even though when cooking pistachios, you then have the added task of shelling them, but they taste so much better when they are fresh shelled rather than when they’ve been sitting around unshelled. Plus, then you can put a little dish of pistachios out as an appetizer while your dish is cooking!